Knit bolero by Hangowear. Natural colour. 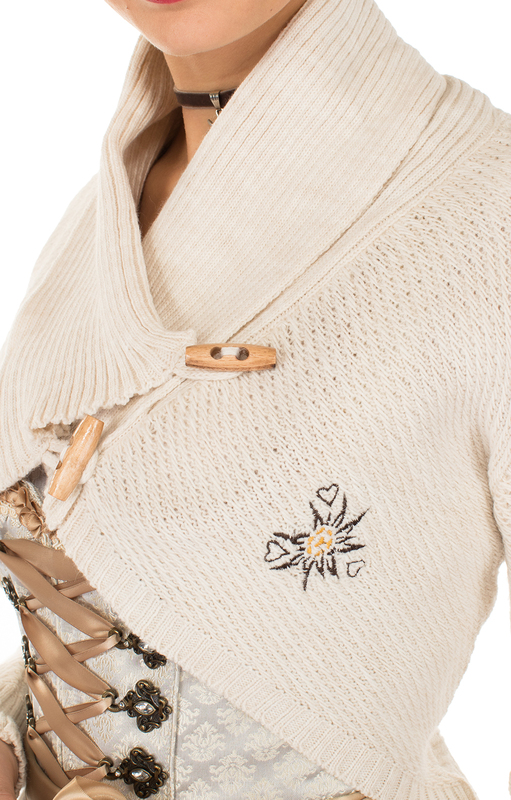 This new Dirndl cardigan with a small Edelweiss embroidery on the front left and on the back of the shawl collar is a beautiful and incredibly practical item to fall in love with. Buttoned with toggle buttons made of wood. Asymmetric cut with extra long sleeves for a cool look. 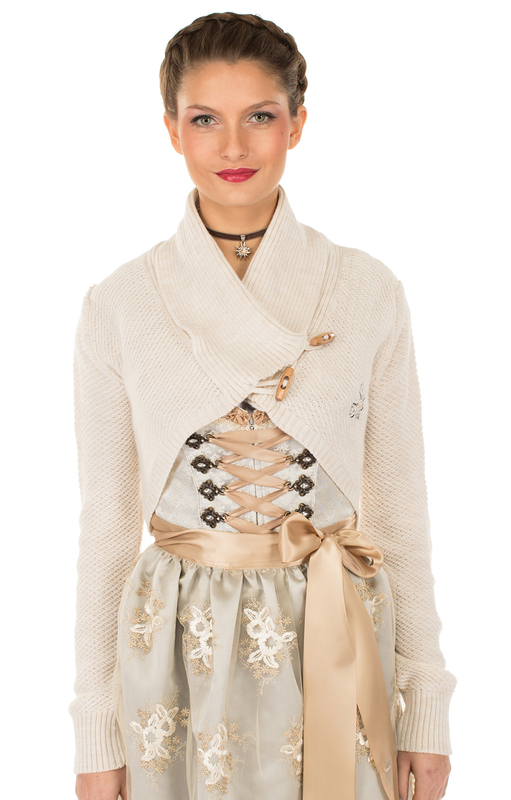 The bolero is the perfect jacket for the dirndl because it warms exactly where the dirndl does not wear the skin. And she also looks chic, too. We have the full score for this.